Don’t make the assumption that sports massage is only for athletes or the seriously sporty…it isn’t. Modern life takes its toll on all our bodies. Sitting at computers, staring at phones and even driving can cause a number of issues including sore necks and aching shoulders. Most of us tend to ignore these niggles until they become something worse. Maybe you’ve upped your weights at the gym and suddenly your shoulder starts feeling painful, maybe you’ve turned your head too quickly and your neck feels like agony, or maybe you’ve just woken up and everything aches more than usual. 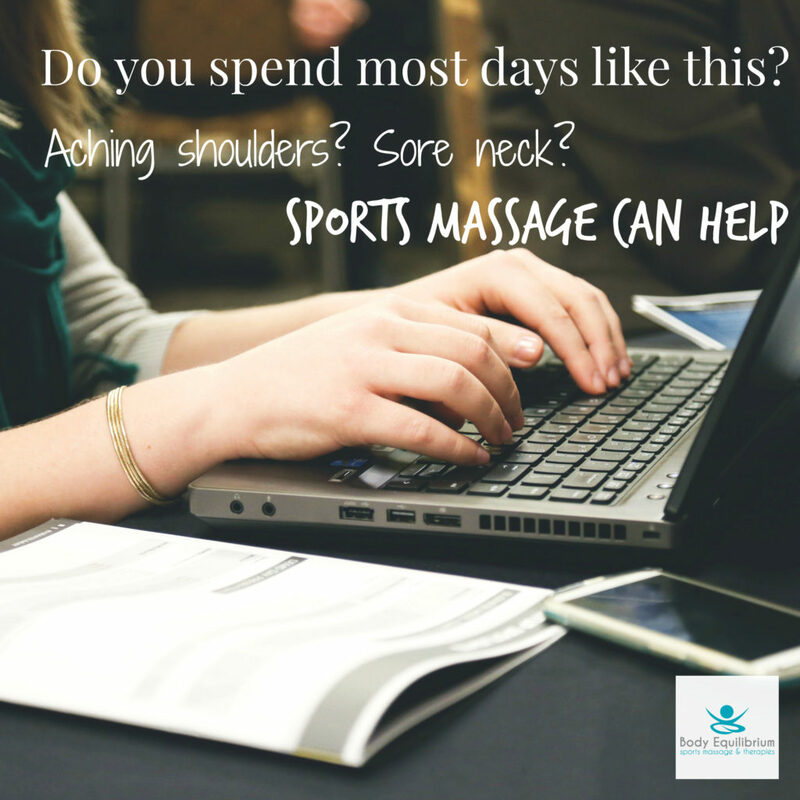 Rather than get to this point, consider sports massage. Unfortunately, we can’t all give up working at computers, using smart phones and driving and actually, we wouldn’t really want to. However, you can prioritise looking after your body whilst doing these things. Regular sports massage can focus on areas that are causing you issues and hopefully, prevent them from getting worse. After your initial consultation and assessment, you can book in for a series of massages where we can continue to work on your postural issues. You can also book in for a regular, general deep tissue massage if you want to take an hour out of your week and relax. We’re based in the stunning Secrets Boutique Salon in the centre of Daventry and there’s free parking throughout the town centre. To book your appointment, call on 07494 100165 or email on info@bodyeq.co.uk.